The nights may be drawing in and a familiar chill returning to early mornings but thoughts at National Sheep Association (NSA) are already turning to next summer, looking forward to yet another busy year of events for the sheep sector. Summer 2019 is set to be even more significant as, for the first time ever, a serving NSA Chairman will open his own farm gates for an NSA sheep event. 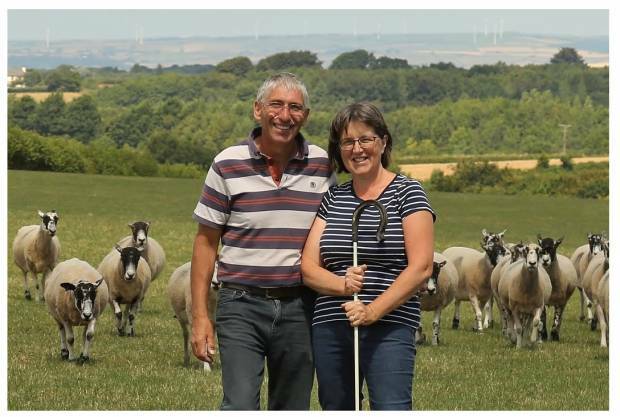 NSA Sheep South West will next year be hosted by NSA Chairman Bryan Griffiths and wife Liz at Southcott, Burrington, North Devon, on Tuesday 18th June. Bryan and Liz are looking forward to welcoming visitors to their farm, showcasing their flock of 900 commercial Mules and Suffolk Mules as well as beef cattle run over 300 acres. As a supporter of NSA for many years, Bryan was elected Chairman of the Board in January this year having held many other positions within NSA South West Region and nationally as NSA English Committee Chairman. Visitors at next year’s event will be able to enjoy a tour of Bryan and Liz’s farm as well as the usual seminars, demonstrations, competitions and array of industry specific tradestands that are now synonymous with NSA sheep events. Find further details of NSA Sheep South West at www.sheepsouthwest.org.uk or contact event organiser Sue Martyn by telephone 07967 512660 or email [email protected].